My relatives have taught me that I am Norwegian, Swedish, Irish and Welsh. Yes, we’re pretty pale. I found this map on the web today which shows a category which each listed country can be considered the best. Click on the image to see all countries. This explains things I have always wondered. Such as, why does my family drink coffee 20 hours of every day, because we are Norwegian of course. And that nuclear reactor in the garage is from my Swedish kin. I guess the Irish in me portrays the high quality of life I enjoy. While all the UK countries are lumped together, I am Welsh, so…CCTV? Sure. However, I am a US citizen and we lead in serial killers. Great. I now have a desire to visit Somalia in order to meet more pirates. And Costa Rica is the happiest place on earth, I have learned. 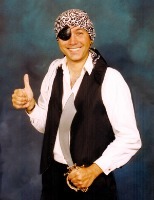 If you had one parent who was Costa Rican and one who was Somalian you could be a happy pirate. This entry was posted in Blogroll and tagged countries, Ireland, Norway, pirates, Swedish. Bookmark the permalink.